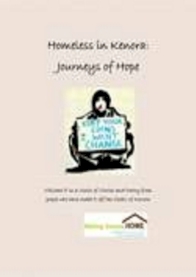 A second collection of stories on homelessness is being released by Making Kenora Home during Week of Action Against Poverty. The contributors to this year’s collection have shared their life journeys from homelessness to hope. The book launch will be held at Ho Joe’s on February 11, 2009, 7 pm. The Implementation Working Group has established a working group who are actively working towards achieving a local build of a single family home. Affordable family home ownership is part of the local affordable housing strategy. Application has also been made to the Homelessness Partnering Strategy for extension of local emergency shelter services. On the funding field, the newly approved federal budget has committed funds for renovation and energy retrofits of social and low-income housing and extended funding for housing and homelessness programs including the Affordable Housing Initiative, Residential Rehabilitation Assistance Program and the Homelessness Partnering Strategy. Specific funding will be dedicated to low-income seniors and persons with disabilities. Competition for these funds will be fierce. The community plan developed by Making Kenora Home is available to help local parties interested in submitting applications for affordable housing. Because of competition for funding, we are very much aware that time is of the essence in this regard and have encouraged City Officials to play a leadership role in directing this funding process. 1. 24 hours emergency shelter. 2. 8 single room occupancy (SRO) units. 3. 20 SRO rent geared to income. 4. 10 single dwelling Aboriginal family units. 5. 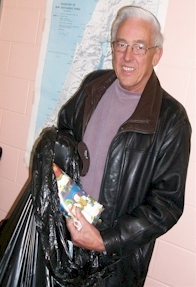 Tax discount, utility discount or maintenance tax credit for low fixed income seniors. 6. 2 supportive housing projects; 10 transitional units for victims of violence, 10 units for senior supportive health and assistive living. 7. Rent subsidization; 15 units for single parent housing and 10 units for individuals experiencing mental health dysfunction. 8. Revolving housing trust for low income families. Kenora has the opportunity to improve its quality of life by investing in these recommendations in addition to working in creative partnership.